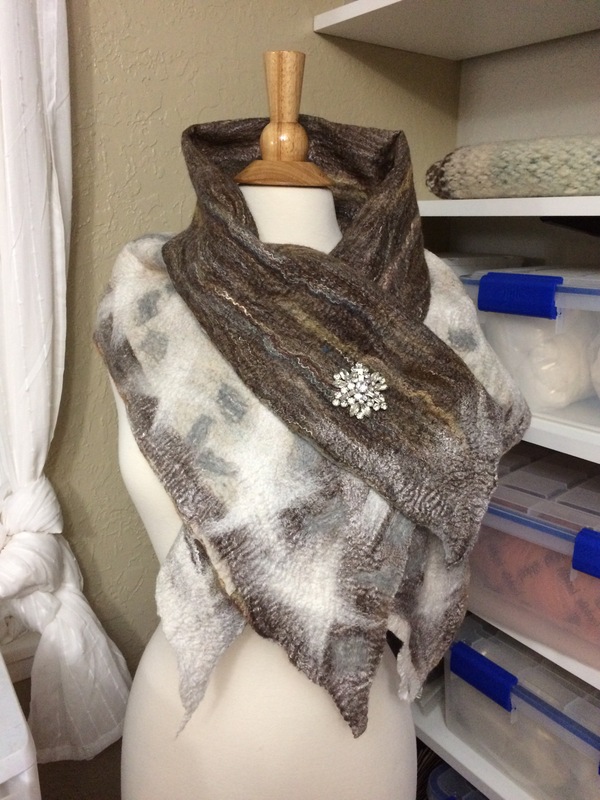 My new design: a four plus-way reversible wrap! This is for sale now at my Etsy store for $95.00. 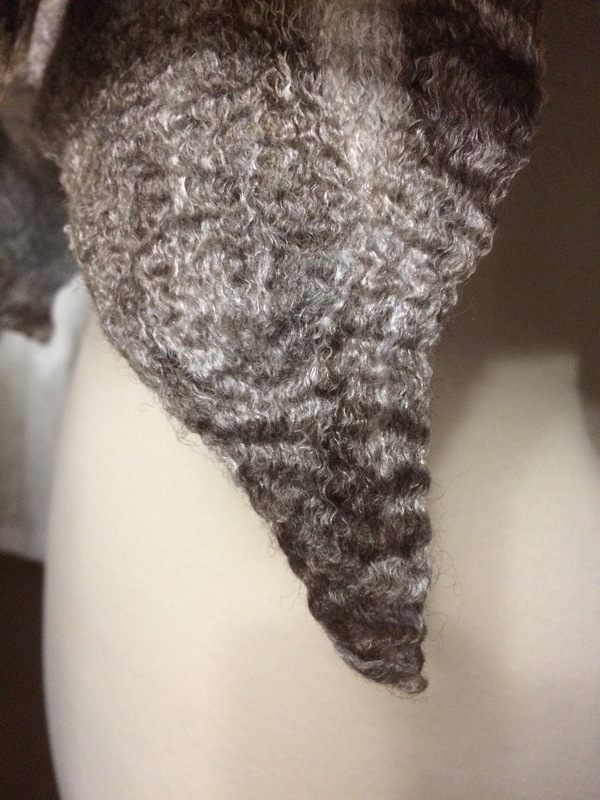 Click here to see! 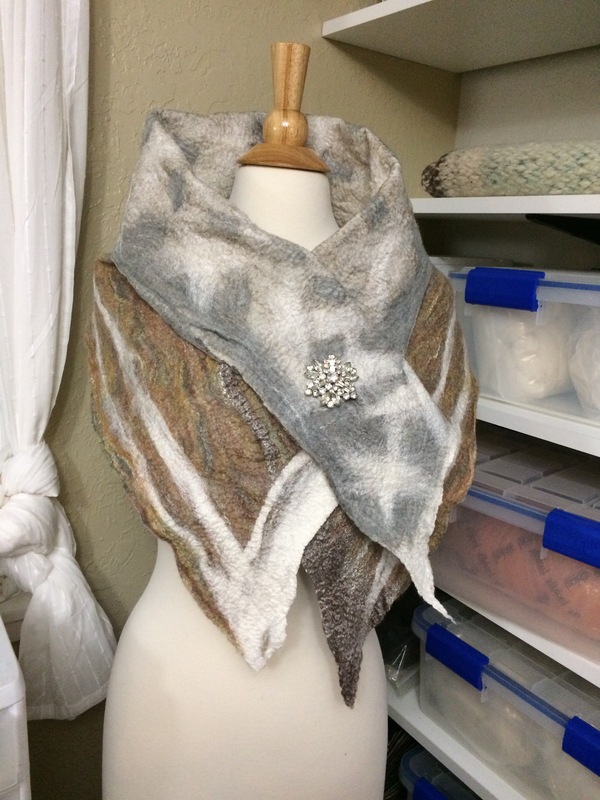 This nuno felted four-way reversible wrap has a sheer silk scarf center. 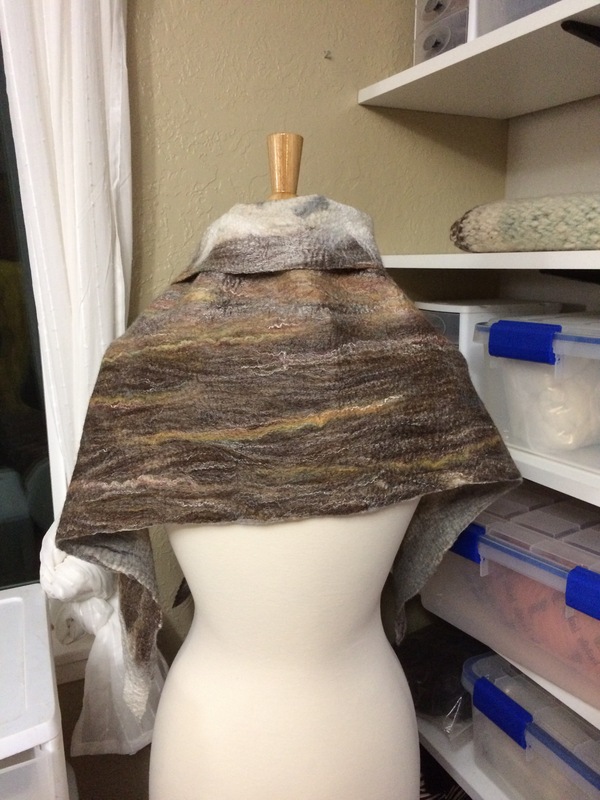 Each side has different end looks and one side has two color bands for creating multiple possible looks depending on how the rap is folded around the shoulders. 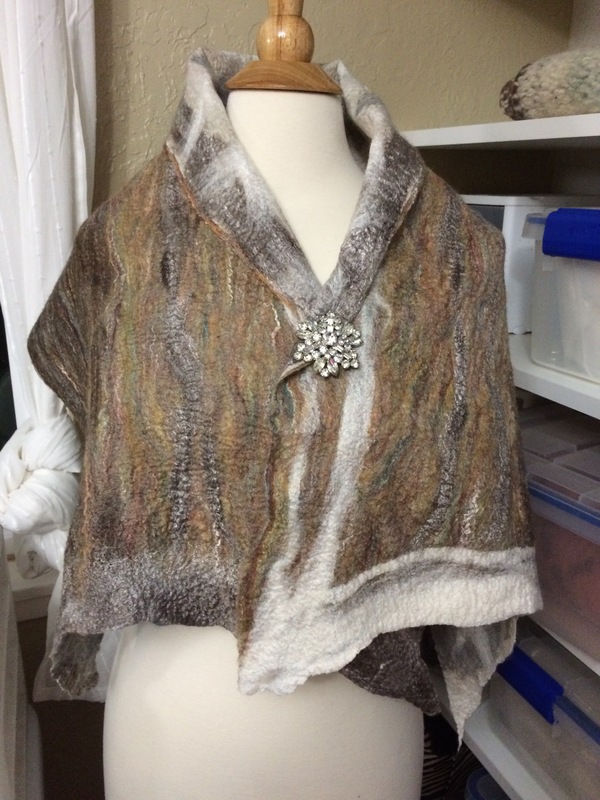 I used super soft Merino wool, yak down, and silk for this gorgeous fall/winter look. 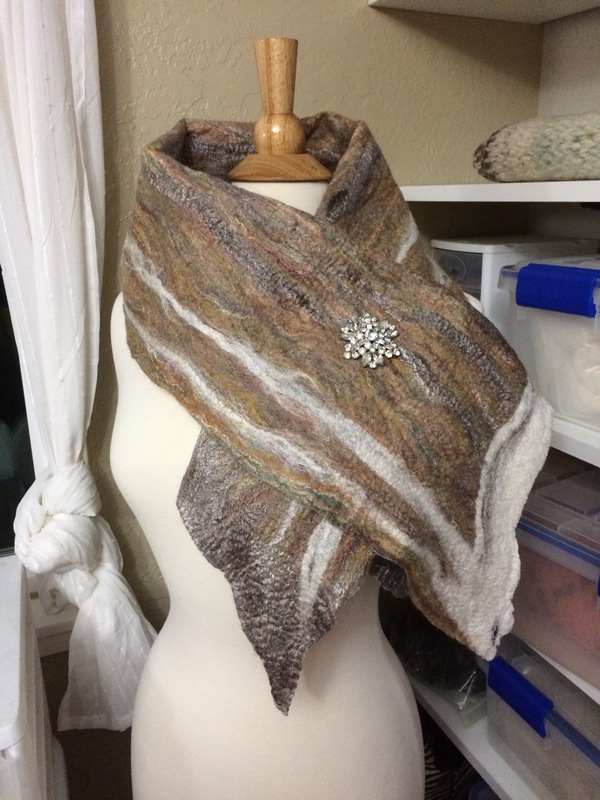 Here are more views showing the versatility of this wrap. For sale at the Corvallis art center for $150. 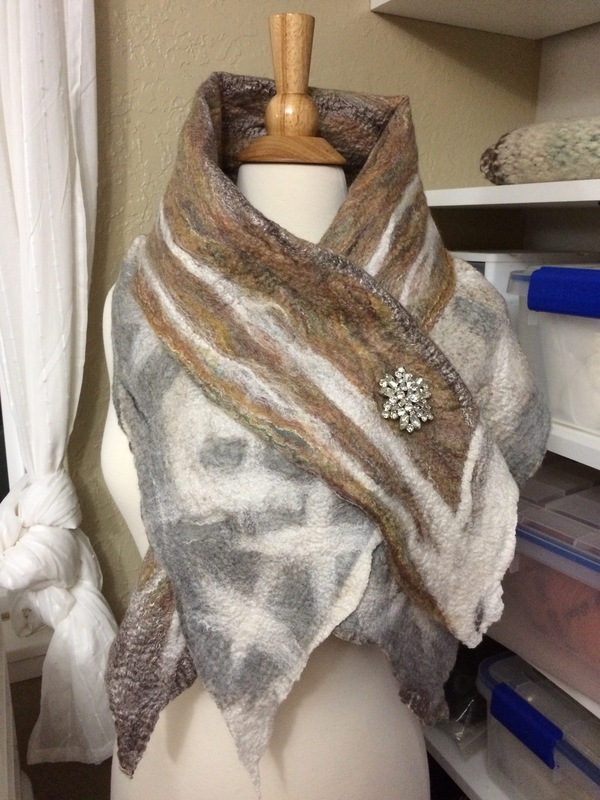 Detail of the yak and silk blend featured on this wrap.